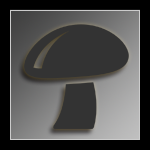 If you're a new member, Welcome to Mycotopia. There is a wealth of knowledge here, and a lot of people with experience that you can draw from. The best way to tap into this knowledge is to say hello, and start to meet fellow mycoites. I'm sort of new and coming back for a second grow attempt. Messed up my first because I didn't know you were not supposed to use the whole syringe. Almost all colonized but too soggy. I remember you, Sade. Glad you're back. Thanks man. I have 6 psylicobyne cyanescens syringes but here they are hard to grow. Can you give me any advice. I live in the pnw where they grow. I'm not the best person to ask about shrooms, but if you post your question in the grow forum, I'm sure you will get plenty of help. I will be back for awhile. My grandma passed so we were dealing with that. I am ordering more cubes this Friday for my bday. Figure I should get experience with cubes before tackling the more complicated woodlovers. hopefully syringes will be shipped(It will take a while something about month or so...) and I will be able to grow my first mushies. just consider that I am young like very young. For the most part thats it, if you have any questions feel free to ask. I guess I'm kinda new,lol,very grateful for this site and the knowledge that's available ,I'm just Tom man!!!!! My son passed in 2010 and I grieved but couldn't cry because I was told all my life that men don't cry and after a session with the mazatapecs I am whole again!!!! Crying came easily and now I am restored thru a 100% natural product.I went seeking healing and found it!!!!! Thank you,hope I'm not out of line?? We come from light and we return to light,everything else is B.S. Thanks for being here!!!!!! Welcome to Topia' Neaphek! Have you read into what tek you're using to grow your first round? It's such a fun thing to get into. I don't know much about obtaining or growing salvia, but someone here I'm sure does. Thanks for joining us and introducing yourself! Welcome to you as well, Tom! I'm very sorry to hear of your loss, glad that you were able to find an out of the box way to make yourself feel better. You're not out of line out all, we're all on our own journey here, spiritual, emotional, knowedlge.. You're welcome to share any part of your journey with us! Thank you for being here! Sorry to hear about you loss, Tom. It's never easy. I think everyone here can relate, so you're not out of line, you're human. I've been seeing a lot more people seeking healing through the use of entheogenes. Vets with PTSD, people suffering depression, or loss of loved ones. I think it's awesome that more and more people are realizing that these plants were given to us for our benefit. When I was a kid I used drugs for fun. Now, I use different plants for physical, mental, and spiritual release. It was during a journey on some pan cyans that I began to understand that divine spark that is within us all. It is brighter in those who "fan that flame". Welcome to Mycotopia, you have a family here as well. I heard a awesome quote yesterday that relates,THE CAVE YOU FEAR TO ENTER HOLDS THE TREASURE YOU SEEK!!!! so true!!!! Yeah, I'll be using the PF tek if conditions doesn't change. In other case of scenario I'll get more stealthy and use invitro. This will be my first go around on growing mushies. I have tried them once befor, and it was awesome. I tried to find them several times afterward with no luck. Recently I came across some golden teacher spoors, and went out and bought the supplies I needed to grow them. I'm about a week and a half into it. So far it's going great, I'm sure I will need some help along the way. I just can't wait to get to try these things again, I know it will be just as great as I remeber. Thanks For Having Me Guys. I'll Try Helping In Any Way That I Can As Well.!. Welcome to the Topia'!! feel free to ask any questions. Hardly ever does a question go unanswered in these parts! Feel freel to start a grow log to show us your journey with your new hobby! Thanks man, and just how do I start this grow log? Then when your all done from start to finish with a project,post about it. Pictures are the best and quickest way to get any questions answered as well. Alright man, I will definitely keep this in mind. Pluss it might even make it that much more fun to be able to look back every now and then. I mean, I already keep notes, but I have yet to keep a record of experiences. Actually now that I think about it, I can't believe I didn't think of this myself. You know, for learning purposes. Thanks a lot. !.